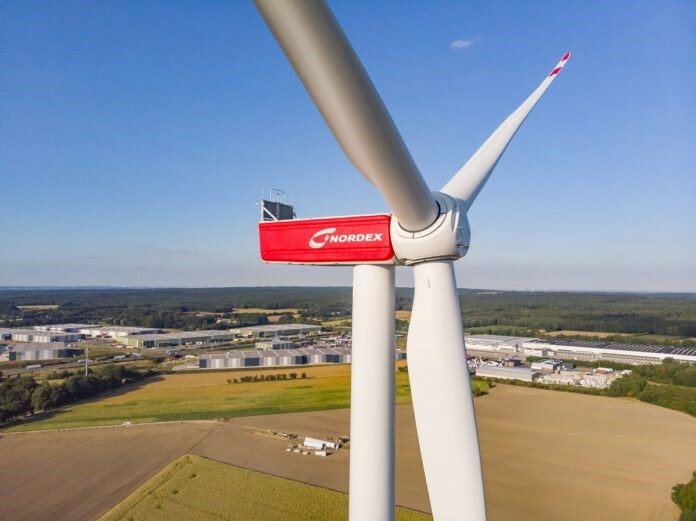 When Nordex in August erected the first of two N149/4.0-4.5 turbines at the Wennerstorf II windfarm located roughly 30 km south of Hamburg, it was with a prototype nacelle cover from Jupiter Bach. The new nacelle cover developed for the Delta4000 series, is the second step in the co-operation with Nordex, after having successfully delivered the nacelle covers for the N131 turbines since 2017. With the N149 turbines, the Nordex Group sets new standards in the light-wind segment for both rotor diameter and maximum output. The N149 turbines are also well designed in terms of acoustics for increasing citizen acceptance, with a sound emission level of less than 106.1 dB(A) even when operating at full load. In addition, they can be operated in a variety of sound-optimized modes which can be set according to wind direction and the time of day to keep noise levels as low as possible. The start of serial production is scheduled for Q1 2019.